The New Zealand Nutrition Foundation is a professional, non-profit organisation whose members believe all New Zealanders should have access to accurate information to enable them to make informed choices about food and the effect it has on their health. We help New Zealanders make these choices by providing a balanced viewpoint on important issues around food, nutrition and health. In 1980, a group of far-sighted, visionary business and medical professionals recognised the need for an organisation to educate New Zealanders on issues of nutrition. 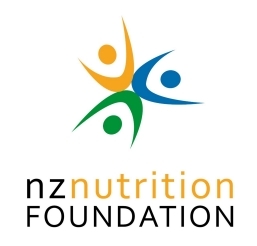 The New Zealand Nutrition Foundation was established as a charitable not-for-profit trust, with individual and corporate membership to support its activities. For more information about our history visit our story. The Foundation’s membership is broad, and includes those working in health, nutrition, education and the food industry. This gives us the opportunity to co-ordinate and support work between professional groups, food producers and marketers and government agencies. The New Zealand Nutrition Foundation’s Executive and Council are elected from the fields of nutrition, education, the wider scientific community, business and the food industry. The Foundation is funded by an endowment fund, membership subscriptions, sponsorship, grants, donations and contracted work.